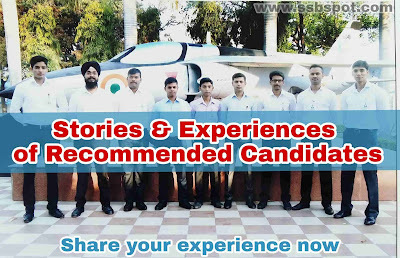 Home / how to crack ssb interview / SSB Interview / ssbinterview / What is Word Association Test (WAT) ? 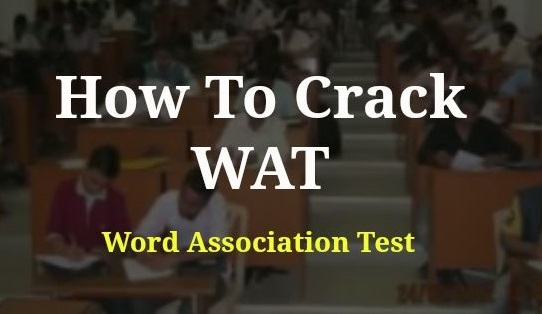 What is Word Association Test (WAT) ? 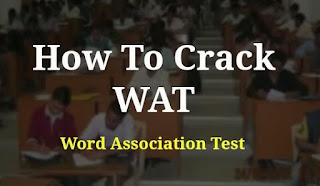 WAT short for Word Association Test is one of the psychological tests conducted on the second day of the interview process.Word Association Test is one of the psychological techniques in which an individual’s behaviour is tested through his subconscious mind.Word Association Test can reveal a person’s subconscious mind state. It’s been noted by research that people ideas, feelings, experiences and information are connected within in the mind which bind together the behaviour of the person, a person conscious mind has the ability to mask his real behavioural traits. In this test candidate will be shown 60 words for 15 seconds each and he/she is required to form a meaningful sentence using that word. 1. Don't write very short or one word answers. 2. Don't write very long answers ( you have just 15 seconds). 3. Don't write any real name of place,country, caste, religion. 4. Don't write with letter " I " , shows your egoistic personality. 5. Don't write sentences with " should, could, may, might or any other word which gives suggestion or orders to others". * Always remember leadership is self examplory. 6. Don't write real facts & figures or universal truths. 7. Don't write phrases, quotations, slogans, cliches. 1. which reveals achievement of candidate. 2. which reflects interest and ambition. 3. also response which attempt to influence others. 4. which reflects team spirit. 5. which gives no resistance in following the rules of organization and system. 6. candidate believes in piece fully solving the issues, don't by violence. 7. opposite words may also be used to clarify the meaning of word. 1. Denial method:- by using Don't and Doesn't. 2. Remedial method:- using " overcome, prevents, avoid, remove, cure. Example: Fear: constant practice removes fear. 3. Play with Verb method:- using verbs like ' denotes, reflects, indicates, leads to, reveals, shows etc. Example:- Duty: Duty leads to discipline. Action:- action reveals good planning. 1. Religion: religious places gives piece to mind. 2. Hijacking: commandos are trained for handling hijack situation. 3. Will: The positive will power can change bad destiny to good. 4. Purpose: purpose gives direction. 5. Hiking: Hills are good for hiking. 6. Devotion: devotion leads to successful life. 7. Limit: knowledge has no limits. 8. Operation: plans leads to successful operations. 9. Organising: organising leads to success. 10. Rogue: allowing everybody to participating avoids rogue. 11. Protest: proper management ignores protest. 12. Polite: mother is full of politeness. 13. Demand: commitment demand patience. 14. Opposition: opposition is motivation. 15. Assets: qualities are assets of life. 16. Beat: music has relaxing power. 17. Dedication: activeness shows dedication. 18. Crook: smart person identifies crook. 19. Dispute: mutual understanding resolves dispute. 20. Worry: A fighter never worries about failures. 1.What is SRT ( Situation Reaction Test) ? 2.What is Thematic Apperception Test (TAT) ? webpage consists of awesome and truly good stuff designed for readers. its good to know people around the globe likes the content here, basically its Indian Website, trying to give effective content to improve general awareness and prepare aspirants for SSB Interview. hope you will like other content too.